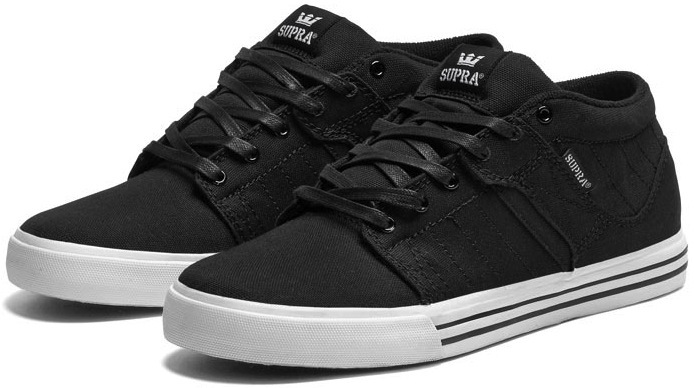 Supra Diablo keeping it dark for the goulish month of October. This is Erik Elligton’s signature model. Vulcanized soles, serious heavy duty canvas upper, and a nice puffy collar and tongue. 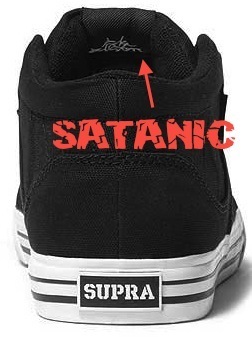 Check the satanic looking text on the inner tongue! Next thing you know EEs gonna be riding for BAKU! HAIL SEITAN, my Vegan minions!